KENNEDY SPACE CENTER, Fla. — The United States Mint unveiled a series of commemorative coins celebrating the 50th anniversary of the Apollo 11 lunar landing. 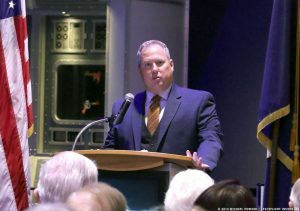 Opening the ceremony, Delaware North Companies’ chief operating officer for the Kennedy Space Center Visitor Complex, Therrin Protze, addressed the audience. In a bipartisan effort, sponsorship legislation passed both the U.S. House and U.S. Senate for the commemorative coin and on Dec. 16, 2016, it was signed by President Obama. 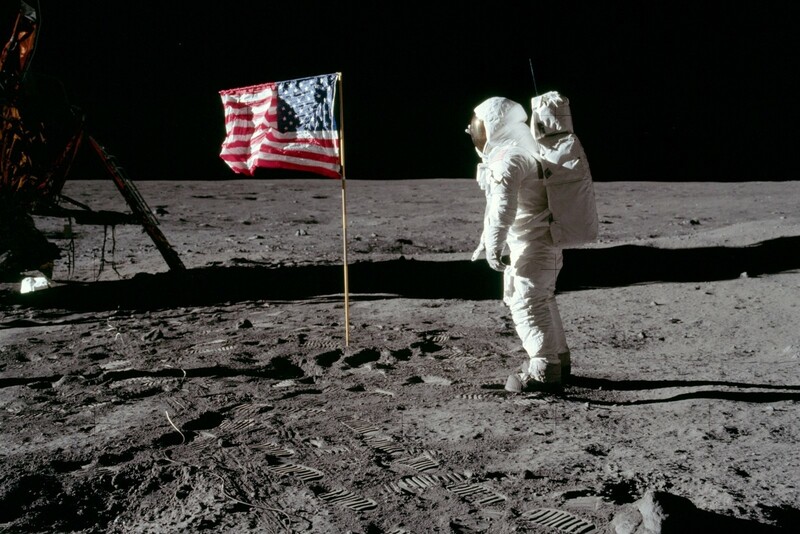 Burns said the Apollo 11 50th Anniversary Commemorative Coin celebrates not only the innovative spirit and resolve that defined the Apollo Program but also it’s estimated 400,000 Americans across the country who contributed to its success. These coins were designed and approved under the direction of the Citizen Coinage Advisory Committee (CCAC). Many in attendance were likely waiting to hear from one of the men who flew to the Moon as part of Apollo and just such a person was in attendance. The keynote speaker for the presentation was astronaut Charles Duke. Duke served as CapCom (capsule communicator) for Apollo 11 and was the lunar module pilot on Apollo 16. He was the 10th person to walk on the surface of the Moon as well as something that many hope will change soon. 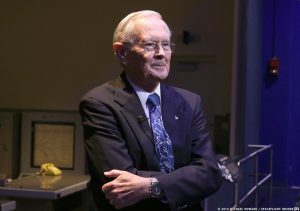 He ended his presentation at the Jan. 24 event emphasizing the positive effects Apollo had on the United States.